Your options as they stand today, and what they might look like tomorrow. YOU’VE BEEN TO remote jungle villages in Papua New Guinea, the desert expanses of the Sahara, even the frozen wasteland of Antarctica. Next, the stars? Since November of 2000, the ISS has been continually occupied by rotating multinational “Expedition” crews. These men and women carry out scientific experiments and assist in the ongoing construction of the station, due to be completed by 2011. For the most determined civilian space travelers, this is currently the ultimate goal — to journey to and live for a short time aboard the International Space Station. In 2001, American Dennis Tito became the first true space tourist by doing just that. He was shuttled to the ISS by the Russian Space Agency, on board a Soyuz spacecraft and with a small Russian crew, and spent seven days on the station. A handful of other fee-paying space travelers have followed Tito, most recently Canadian Cirque du Soleil founder Guy Laliberté. Russia is still the only game in town for getting to the ISS. But you can’t just call the Kremlin and ask for a ride. All Soyuz trips are brokered by the American company Space Adventures. Its space tourist program includes intensive astronaut/cosmonaut training — think zero-gravity jet flights, underwater spacewalk simulations, and spins in a high-g centrifuge — in addition to the flight and an average of 10 days on the station. The exact amount paid by each Space Adventures client is not readily disclosed, but figures ranging from $20 to $30 million USD are most often tossed around. For just $3 million, you can sit in on all the training, only to watch the Soyuz blast off without you. Individual training exercises, “launch tours,” and other opportunities are available for much less. 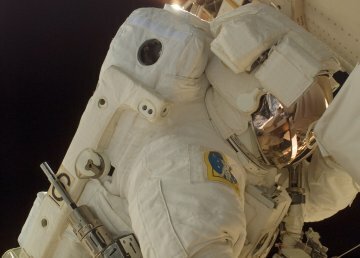 ISS visitors are now able to participate in a spacewalk for an additional $15 million — so far, no one has accepted the challenge. If you aren’t a dot-com billionaire or haven’t started your own interpretative circus troupe, there might still be hope for you. Sub-orbital flights are the up-and-coming trend in space tourism, transporting passengers in small, airplane-like craft beyond the internationally recognized boundary of space (100km straight up). Richard Branson is looking to take the lead in this. His Virgin Galactic has already pre-sold over 250 $200,000 tickets for flights that will begin at an as-of-yet-unspecified date. 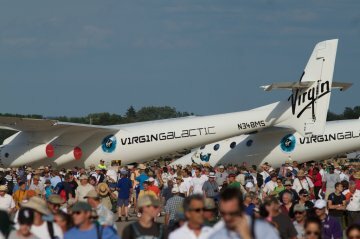 Virgin is the only company with the rights to SpaceShipTwo, successor to the Scaled Composites craft that won the Ansari X PRIZE back in 2004. Weekly flights will launch from California’s Mojave Spaceport and carry six passengers to an altitude of 109km (68 miles), where they will experience several minutes of weightlessness and have views of twinkle-free stars and the curvature of Earth. And Virgin’s not alone. Companies like Space Adventures and Armadillo Aerospace are also developing sub-orbital tourist flights to launch from spaceports around the world. The space tourism industry is advancing faster than most people realize. 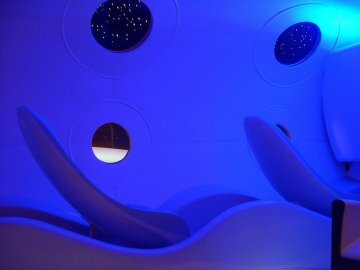 Within a decade or two, the well-heeled (and perhaps even you and I) will enjoy a variety of options for experiencing outer space. 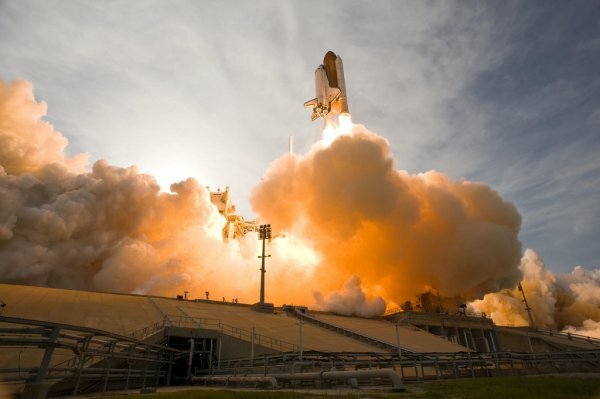 Detailed analysis of potential space tourism markets can be found here. One avenue being explored by several outfits, including Bigelow Aerospace and Galactic Suite, is the construction of space hotels. 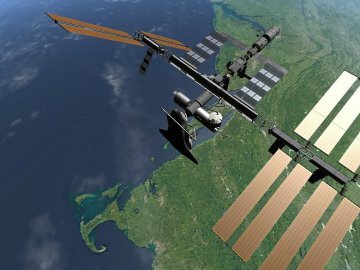 Bigelow already has two prototype modules in orbit. By the time any orbiting resorts are ready for use, it’s estimated transport will cost around $20,000 per guest, plus tens of thousands more per night’s stay. factories, hotels, medical centers, laboratories, zero-gravity sports arenas and satellite repair centers, along with dozens of other uses which can’t be imagined today. They make the rather bold claim that 20,000 people will be inhabiting and working within their islands by the year 2020. Space Adventures is stepping it up in this category as well. For a mere $100 million, you can sign up to be one of the first to take part in their circumlunar mission. Following six to eight months of training, you’ll launch aboard a specially designed Soyuz craft and, depending on whether you make a pitstop at the ISS or not, spend 10 to 21 days in space. 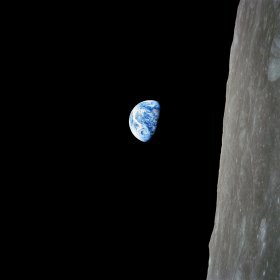 The climax will come as you swing round the far side of the moon and experience the allegedly spiritual sight of earthrise. Sound like a pipe dream? National Geographic reports this voyage could be ready to launch in three years. The farther space tourism reaches, the cheaper the close-at-hand options will become. Here’s to adding Earth orbit to our travel itineraries within our lifetime.